The capital city of Vietnam, Hanoi, Ho Chi Minh City and some other big cities are facing serious environment pollution because of heavy urbanization and increase in the number of vehicles, affecting local well-being. The PM2.5 level, which refers to tiny dust particles that are about 30 times smaller than a human hair, is twice or triple times higher than what is deemed acceptable by the World Health Organization (WHO). These particles, which can remain longer and spread farther in the air than normal dust, can travel deep into the lungs and the blood resulting in more people suffering from breathing problems and heart diseases. 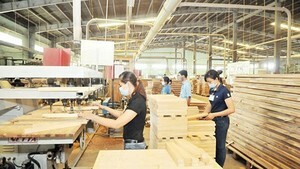 Air quality index daily posted in Hanoi’s portal has shown that in the PM2.5 level in Hanoi in half of late March, 2019 fluctuated from 115 to 196, four times higher than WHO’s warning. Worse, some areas in streets Pham Van Dong, Cau Giay, Nguyen Trai, Nguyen Xien, Minh Khai and Ha Dong has the PM2.5 level over 200 and sometime up to 400. Lately, the AirVisual organization that provides tools and information for people to protect themselves from air pollution has publicized index of the world most polluted cities and countries in 2018 in which Hanoi ranked the second in the Southeast Asia and twelfth in the world. In 2016, Vietnam recorded 60,000 air-pollution-related deaths. Medical researches have shown that a person who is exposed to contaminated air, they are at risk of contracting chronic disease such as asthma, respiratory disorders, heart diseases, diabetes and lung cancer. 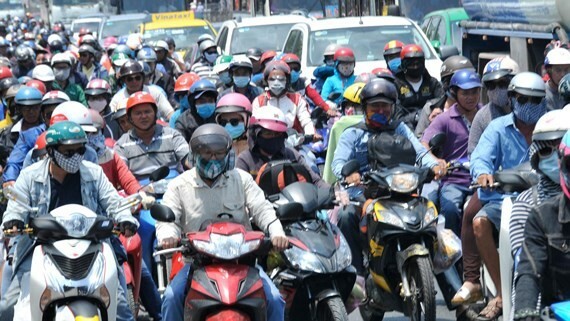 Physicians warned dwellers in big cities especially in Hanoi and Ho Chi Minh City should apply measures against air pollution by not going out regularly and wearing face masks.